Find a variety of Summit County vacation rentals listed below from ski in ski out properties to luxury options throughout the area. We have rentals in Breckenridge, Dillon, Frisco, Silverthorne, Copper, and Keystone, start searching below to find the perfect property for your next trip! Be sure to contact our office for additional assistance booking the right rental property for you. These affordable Summit County properties are not only charming but also come with killer views all in awesome locations! All units have fully equipped kitchens, linens provided, parking on site, access to a clubhouse with a hot tub and heated pools (besides our Lake Haus units), private decks with grills, are close to hiking, biking, ski resorts with have cable and WiFi! What more could you be looking for? Browse below and book an available rental today. Not finding exactly what you need, give us a call we are happy to help find the perfect rental for your trip! Our luxury vacation rentals in Breckenridge, Silverthorne and beyond offer incredible Rocky Mountain views, stellar downtown and out of town locations, updated interiors, attached heated garages, washer, and dryers, gourmet fully equipped kitchens, soaking Jacuzzi bathtubs, private hot tubs and/or clubhouses with hot tubs and heated pools and much more! So why not spend your next Colorado vacation in comfort and style? Seach available luxury vacation rentals below to find breathtaking homes and condos located throughout Summit County perfect for your next trip. What other reasons do you need to book now? Contact us for additional assistance finding the right property for you. Explore our premier ski area properties, located so close to the slopes that you can ski right up to your property! Offering guests the ultimate in convenience, these Summit County vacation rentals are sure to make your vacation unforgettable. At most properties, you can sit on your patio and watch other skiers come down the final runs! Featuring a variety of other amenities and features, you are undoubtedly going to enjoy your trip to the Rocky Mountains. Browse available options below and book online today! Really all of our homes have mountain views but the vacation rentals listed below are exceptional! These beautiful homes were built in the mountains for a reason, to soak in the great outdoors. Surrounded by breathtaking vistas everywhere you look you wont be disappointed! Beyond the stellar location and views, these homes offer guests plenty of space for groups small and large. Complete with a variety of other amenities and features to make you feel right at home, browse and book online today! All properties found below are either within walking distance of town or the resort or have complimentary transportation to get you everywhere you need to go in Summit County on your next trip. Unbeatable convenience! These properties are also within walking distance to great dining and shopping options as well as the FREE bus - The Summit Stage, that can take you anywhere in the county including ski resorts! Book one of the convenient rentals today! 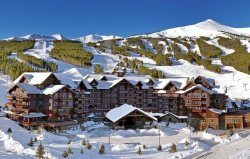 Breckenridge Colorado is a Rocky Mountain gem offering guests gorgeous views of Lake Dillon Reservoir and Tenmile Range in addition to a whole host of outdoor activities. With vacation rentals located throughout the area, many are conveniently located within close proximity to dining, shopping and nightlife options as well. Whether you are traveling with a large or small group to adventure in the mountains or simply take in their serenity we are sure to have the perfect rental option for you, contact us for additional assistance. Dillon vacation rentals provide guests so much in town convenience. Located centrally to all area ski resorts and numerous dining and shopping options, no wonder so many book Dillon year after year on their trip to Colorado.With room for up to 15 guests we have a variety of spacious rentals with space for the entire group no matter how large or small. Complete with numerous amenities and features, browse available properties today! Frisco Colorado is a great hub for a Summit County vacation. Centrally located to the ski resorts and many other things to do, fun isnt far from your doorstep. With room for up to 13 guests, bring the whole gang these vacation homes have space for everyone including a wide variety of amenities and features as well! Start planning your Frisco Colorado vacation today by browsing available rentals below. The perfect vacation property awaits. Silverthorne CO rentals offer great convenience to guests. Centrally located to area ski resorts and many things to do, Silverthorne is the obvious choice for a home base on your next trip. With room for up to 17 guests, these property rental options offer a plethora of amenities and features, so start searching available properties today. Wildernest is a community located west of Silverthorne offering guests privacy and breathtaking mountain views. With a variety of homes and condos available, these properties can accommodate up to 13 guests comfortably. Couple the spacious nature of these rentals with the variety of amenities and features each offers and youve got the ultimate home away from home! Start browsing our available properties below to get the ball rolling on your next trip to the Rocky Mountains!